The United States Citizenship and Immigration Services will allow the families of certain Filipino World War II veterans to reunite with veterans beginning June 8, 2016 as a result of a new policy change called Filipino World War II Veterans Parole Policy. In order to qualify, extended family members of veterans must be beneficiaries of approved family-based immigrant visa petitions, and be awaiting the availability of an immigrant visa. 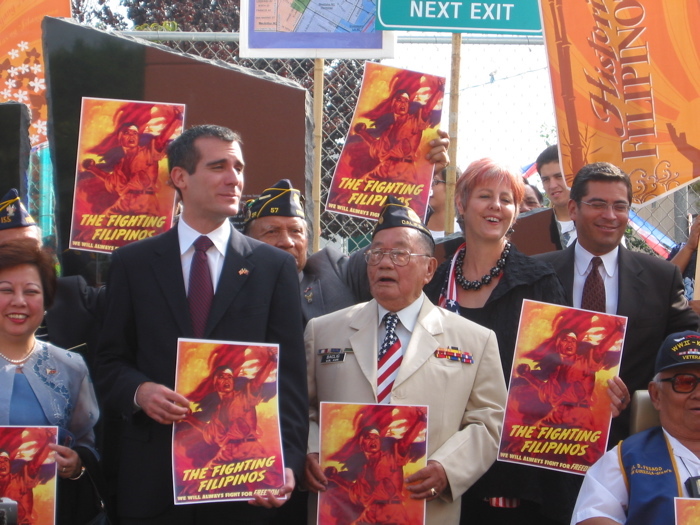 Certain extended family members of U.S. Citizen or LPR Filipino World War II Veterans will have the opportunity to receive advance parole on a ‘discretionary’ case-by-cases basis in order to travel to the United States to be with their loved ones, while they await an immigrant visa to become available. In addition, certain relatives of deceased Filipino World War II veterans, will be able to seek parole for themselves. This new policy change has been implemented to honor Filipino veterans who enlisted in the World War II Veterans Parole Program to fight for our country during World War II. The initiative will also allow extended family members to care and support their U.S. Citizen or LPR veteran family members during the advanced stages of their life. According to the policy, approximately 2,000 to 6,000 family members will be able to benefit from this new policy change. Applications for the the Filipino World War II Veterans Parole Program will not be accepted until June 8, 2016. Presently, the process of immigrating extended family members of U.S. Citizens and Legal Permanent Residents residing abroad is a very complex and antiquated process. This is because there is a limit to the number of immigrant visa applications that can be issued for extended family members. The Visa Bulletin outlines the numerical immigrant visa limitations for family-sponsored and employment-based preference categories established by the Immigration and Nationality Act (INA). In general, family-sponsored preference categories are limited to a minimum of 226,000 visas per year, while employment-based preference categories are limited to a minimum of 140,000 visas per year. This means that beneficiaries of approved immigrant visa petitions, who fall under family preference or employment categories, must wait in line until an immigrant visa becomes available to them before traveling to the United States. Beneficiaries must check the Visa Bulletin every month to see if their priority date has become current according to their category and country of nationality, before proceeding with their immigrant visa application. The priority date is the date when the relative or employer filed the immigrant visa petition with USCIS. This means that in most cases even if you are the beneficiary of an approved immigrant visa petition, you will still be required to wait many years, before you are able to immigrate to the United States. The amount of time you will have to wait largely depends on the preference category you fall under and your country of nationality. Immediate relatives including spouses of U.S. citizens are not subject to these numerical limitations, however immigrating a foreign spouse is also a very long process, due to the large amount of immigrant applications processed at the National Visa Center. The Filipino World War II Veterans Parole Policy will give certain extended family members of Filipino Veterans the advantage of waiting for their priority date to become current inside of the United States, but it will not allow them to bypass waiting in line. Presently, the typical wait time for an immigrant visa to become available for extended family members is anywhere from 14-21 years for the Philippines. Family-sponsored preference categories are as follows: unmarried sons and daughters of U.S. Citizens (F1), spouses and children, and unmarried sons and daughters of permanent residents (F2), spouses and children of permanent residents (F2A), Unmarried sons and daughters (21 years of age or older) of permanent residents (F2B), married sons and daughters of US Citizens (F3), and Brothers and Sisters of Adult US Citizens (F4). USCIS will review each application qualifying for the Filipino World War II Veterans Parole Program individually and grant parole on a discretionary basis. This means that an individual who has been granted Parole under this program may not be guaranteed entry to the United States. Once the individual arrives to the U.S. port of entry, a U.S. Customs and Border Patrol official will determine whether the individual may or may not be paroled into the country. For more information about the Filipino World War II Veterans Parole Program please click here. Applications for this program will begin to be accepted on June 8, 2016. To read the White House report on this policy please click here. For assistance with your application please call our office.